(awarded 53:20 - S�nchez fouled Kane). 43 (25 August 1974), New Jersey, USA, FIFA-listed 2008. Assistant Referees - Joe Fletcher, Canada and Frank Anderson, USA. Match commissioner - Souleiman Hassan Waberi, Djibouti. ELO rating 4th Colours: The Nike 2018 away shirt - Red v-necked jerseys with a shadowed St. George's flag, red shorts, red socks. Capt: Harry Kane, eighth captaincy Manager: Gareth Southgate, 47 (3 September 1970), appointed caretaker manager on 24 September 2016, appointed as permanent manager on 30 November 2016. 22nd match, W 12 - D 7 - L 3 - F 36 - A 15. Lingard cautioned in the 69th min. for Unsporting Behaviour after he pulled back and stood on Carlos S�nchez foot. Henderson was cautioned in the 56th min. for Ungentlemanly Conduct after he flicked his head back into Mino, who was leaning his head into him, while trying to protect Kane after the penalty award. unused substitutes: 13-Jack Butland, 14-Danny Welbeck, 15-Gary Cahill, 16-Phil Jones, 21-Ruben Loftus-Cheek, 22-Trent Alexander-Arnold, 23-Nick Pope. team notes: Manager Gareth Southgate was an unused sub against Colombia in the World Cup Finals match in June 1998. ELO rating 10th Colours: Made by Adidas - Yellow jerseys with red/blue side chest panels and navy adidas shoulder trim, white shorts with navy adidas side trim, white socks with navy adidas trim. Capt: Radamel Falcao Coach: Jos� N�stor P�kerman Krimen, 68 (3 September 1949 in Argentina), appointed January 2012. 77th match, W42 - D 20 - L 15 - F ? A ? Arias cautioned in the 52nd min. for Unsporting Behaviour, after he leapt in the air with Kane and elbowed him in the back. 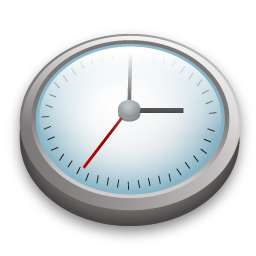 S�nchez cautioned in the 54th min. for Unsporting Behaviour, after he climbed over the back of Kane to bring him down. Penalty awarded. Falcao cautioned in the 63rd min. for Dissent, after he screamed at the referee for not punishing Maguire after he fell in the penalty area. Cuadrado cautioned in the 118th min. for Unsporting Behaviour after a bad foul. unused substitutes: 3-�scar Murillo, 8-Abel Aguilar, 12-Camilo Vargas, 18-Farid D�az, 19-Miguel Borja, 21-Jos� Izquierdo, 22-Jos� Fernando Cuadrado. team notes: Coach Jos� P�kerman was in charge of Argentina when they faced England in the dramatic friendly in November 2005. Where do I start? At last! England win a World Cup finals match on penalties! It should never have come to that but the England players showed huge character and resilience, under some of the worst provocation seen in an England international match. Justice was finally seen to be done, but boy did we, the fans, go through the ringer before the match was won. Once again England began brightly and in the first 15 minutes they had the Colombians rattled with a series of good, positive attacks. On four minutes a free-kick was hacked away by the hard pressed Colombian defenders and then a great move down the right ended with a cross by Deli Alli, back in the side after injury. Harry Kane was at the far post but the cross was a fraction too high and Kane�s header looped on to the top of the net. Already it was pretty obvious what sort of tactics Colombia were going to employ, falling down at the slightest contact from an England player, and then tackling very unfairly at times. They did have periods of possession but England held firm and Jordan Pickford only had one shot to save throughout the first half. 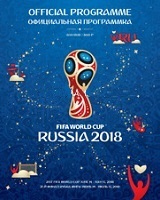 On 20 minutes came the game�s first contentious incident. Raheem Sterling, lively throughout, and a Colombian defender went for a ball that was heading out, but a blatant two-handed push by the defender went totally unpunished when surely it had to be a penalty? Colombia, a good team, if only they would learn to concentrate on their football instead of diving, fouling, arguing with every decision, and surrounding the referee on numerous occasions with their protests. Luckily England held their nerve and their tempers, but by goodness, it must have been hard for them. Harry Maguire, outstanding for England, so nearly had a chance only to be denied by a brilliant clearing header by the Spurs defender Davinson Sanchez. At this point, with half an hour gone, the game was delicately poised and fairly even. Juan Fernando Quintero had a chance when England were caught out by a quick throw-in, but his shot went well wide. Kieran Trippier, an absolute star of this tournament, almost found Kane with a long ball before, on 38 minutes all hell broke loose. Kane was fouled on the edge of the box and once again the ref was surrounded by protesting Colombians. England, meanwhile, tried to set themselves up for the free-kick only for Wilmar Barrios to headbutt Jordan Henderson! It was so blatant and surely a red card? The referee �didn�t see it� but he obviously had a message on his ear-piece, alerting him to the foul, but for some unexplained reason Barrios got away with a yellow card. It was one of the worst decisions seen in this tournament so far. To make matters worse Barrios was to have several �lives� in the second half too, and could easily have received a second yellow for bad fouls on at least three other occasions. It was so frustrating to watch. Eventually, after what seemed like an hour of delaying tactics, Trippier curled the free-kick just wide. Quintero saw a shot saved easily by Pickford before half-time and then Jesse Lingard had a chance when the ball bobbed up for a volley. He couldn�t quite keep it down and it flew over. That was probably England�s best chance of the half. There had been no really clear-cut chances at either end though and the half was dominated by the downright skulduggery of Colombia and the disciplined performance by England. The referee had obviously had thoughts during the break and a few minutes after the restart he booked Santiago Arias for yet another foul on Kane. Sanchez again headed away as Maguire attacked and from the corner England took the lead. England prepared for another of their corner routines and as the centre came over, Kane ran round to try and get to it. But, instead, yet again he was wrestled to the floor with all the subtlety of a sledgehammer by Carlos Alberto Sanchez. Why do they do it? And right under the referee�s nose too. This time he had no option but to give a penalty. Cue mass hysteria by the Colombians. How the referee didn�t brandish a few red cards at that moment I don�t know. It was awful. During the following four or five minutes of protest one of the Colombians purposely scuffed up the penalty spot for all he was worth. Again, where was the red card? One could only imagine that the VAR people must have gone home! The coolest man on the pitch was Harry Kane, and eventually, after what seemed an age, he was able to put the ball down on the damaged spot. It made no difference and as David Ospina dived to his right, Kane struck the ball down the middle. Was there ever a more deserved goal in an England football match. Now all we had to do was hold on to our lead. The shenanigans continued as Sanchez, Arias and Radamel Falcao were all booked, but the ref had obviously decided to punish every misdemeanour by now and both Henderson and Lingard also received yellow cards for fouls. The England fans were desperate for a second goal to put the game to bed but despite some good moves and near misses it wouldn�t come. Falcao forced a good save from Pickford but apart from that the defenders, with Stones, Walker and Maguire outstanding on the night, held firm. Kane was fouled for the umpteenth time, Maguire headed over and Lingard went close with another effort. Barrios continued to push his luck with foul after foul and there was a scare for England on 81 minutes when substitute Eric Dier sold Walker short with a pass and Juan Cuadrado was left with a clear chance. Thankfully he shot over the bar from a great position. A warning for England though. Jamie Vardy came on for Sterling and the board went up indicating five extra minutes. The England fans hearts were pounding and when a corner was awarded to Colombia in the 93rd minute we all feared the worse. Alas, those fears were realised when the giant Yerri Mina, who, to be fair, had a terrific game, headed down and the ball bounced high and over the despairing leap by Trippier on the line. What an absolute sickener that goal was, and so undeserved too. Extra time was now a certainty and so it proved. I must confess that this reporter was so distraught that he wrote very little from then on. The first half of the added period saw England continue to defend well, but Colombia having the edge, and the second period saw England come back strongly, almost scoring with two fine efforts. First Danny Rose, on for Ashley Young, ran into the box, his shot beat Ospina but just cleared the far post. Oh, how I wish that had gone in. Then, with seconds left Dier missed a great chance with a free header which flew over. For the 1,000th time during the game I held my head in despair! Penalties, and we all know what that means in an England World Cup match. I must be honest with you as I couldn�t watch the spot-kicks and went and made a cup of tea, strong tea! A few minutes later my daughter rang me to ask if I was okay? No, I said, until she told me we had won!!!!!!!!!!!!! YAAY!! I have since watched the penalties and Pickford�s save was superb, Mateus Uribe�s shot was magnificent and Eric the Dier, I take my hat off to you. GET IN!! Right, calming down again, this was one of the most memorable matches I have ever reported on for England. 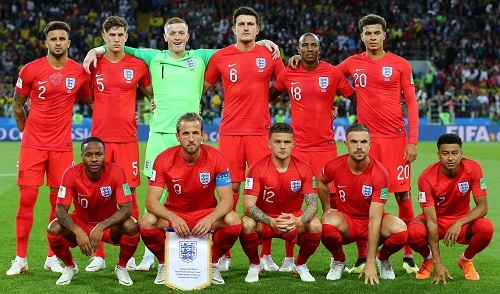 Not always for the right reasons, but in the end justice was done and I have never felt more pleased for an England side who so deserved this victory. England had a lot of heroes on the night so well done to everyone involved, but please, against Sweden, score five early on again and save us all this heartache.